Genre: General fiction (adult), Sci-fi and Fantasy. I really wanted to love this book, it sounded so interesting, a unique take on the genre. It has some excellent characters too, and an interesting plot-line that I can see developing further within future books. And yet….it was interesting, it was well written, paced to keep the reader engaged and yet somehow I kept putting it to one side. Possibly it was the sheer unpleasantness of the idea of keep werewolves as pets/slaves, and of breeding them for that purpose, taking away the children and selling them. Its all too reminiscent for me of the human trade in slaves where non whites were considered sub-humans and we used and abused them. Although it made for a great main plot it did make me feel incredibly uncomfortable and guilty as a human for the past atrocities white people forced onto non-whites. 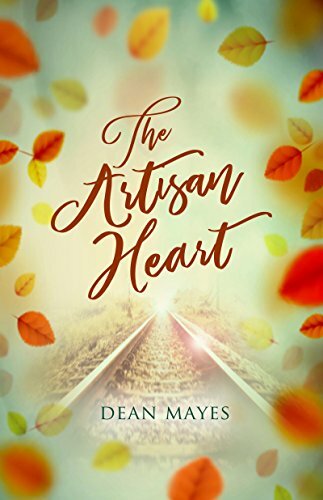 If you can set that aside and enjoy the story for what it is, fiction and well written, then this is a series you’ll enjoy. I might try later books as they come out, I know once the imbalance starts to get addressed I’ll be happier reading about these people. Its an excellent look at human nature, how ready we are to believe what “the authorities” tell us, which of course is what benefits a few powerful people the most, but gets dressed as if its helping everyone. Cynic? Me? There’s a quote from Edmund Burke that suits this book really well, it goes something like this… “all that is needed for evil to flourish is for good men to do nothing”. Here we’ve a handful of good people, starting with Crystal, doing something which hopefully will grow, but it isn’t going to be easy. Even then if Crystal’s brother hadn’t been bitten she would still have gone along with the official line that this treatment of werewolves is essential for them and us. It mirrors what happens so often, as humans we mostly ignore or turn a blind eye to distasteful practices and injustices until we’re forced to confront them personally. I liked the sound of this, I love a second chance romance so dived in eagerly but it wasn’t a great fit for me. Amazon describes it as 224 pages but its just under 2600K kindle locations and felt far shorter than 224 pages. Those usually come out about 4K+. I think that brevity is one reason it didn’t work for me, it seemed as if they were enemies one moment lovers the next with no real build up. It felt quite disjointed in that one moment I was reading about the present and then we were back in the past and it wasn’t always obvious which was which. I’m a fan of past and present sides to a story, but they need clear definition. I didn’t understand why Kate wouldn’t listen to Saul either time, why she just looked at ran. That’s always (almost) going to be most folks’ reaction but once emotions cool we usually want to know the how and the why. It seemed weird that Kate didn’t. Then there’s the long gap, and why is Saul still in love. Why not try harder earlier to get her to listen. Of course this story wouldn’t exist then but for me I needed some kind of explanation, some reasons for these gaps. As ever though this is just how I feel and of course its a perfect read for others, and may be exactly what you want. Reading taste is very subjective. I love this kind of novel, one which has day to day minutiae of life in times long past and was eager to get started. I found a number of things that bothered me though. 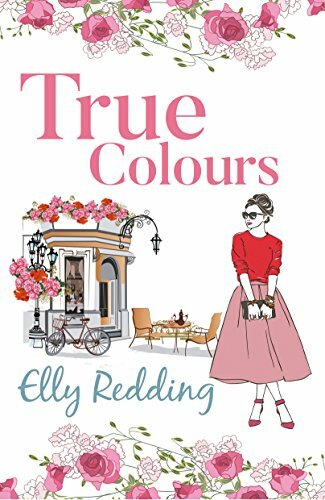 Lily takes going back in time in her stride, to the point where she acts as if its perfectly normal, and those back in the past act as if her appearance is an everyday thing. I know they’ve the advantage of superstition and a prophecy but it felt kind of wrong somehow that everyone was so open and accepting. Then there’s the stuff she just happens to ave on her that play such an important part in the story. Does she really always carry stuff like that around with her. The blood cards in particular, just how many of them did she have? The way people in the past just happily let her test them in a time when anything out of the ordinary was viewed with suspicion was a little weird too for me. Then there are the many parallels with the Diana Gabaldon Outlander stories. Having read those books several times over I noticed a number of themes that crop up in both…..nothing in fiction is every really unique, but sometimes there were parts that for me felt a little too close. The language and idioms used, I accept Lily would use 21st century speech but the way so often no one queried it? And even used expressions themselves felt a bit wrong. 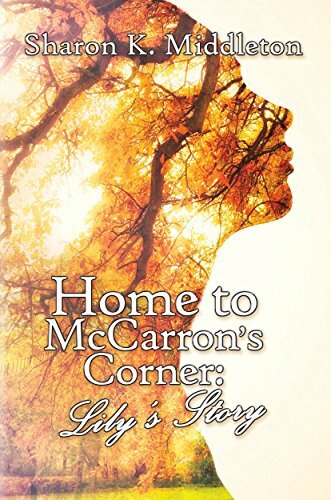 The story itself was interesting, but I wished there was more from the McCarron’s Corner and the prophecy in it. The first part of the story is there but it seemed to move on to town very quickly. If you can get past these barriers then its a story you may love, there are some inviting parts but for me the quirks were more than just a minor irritation and the story fell short because of it. Stars: Two and a half, a story with great potential but which was let down for me by the things I’ve mentioned. I hadn’t read Vanity Fair, but I’m a sucker for romance and this sounded a fun read – plus I’ve loved some of Sarra’s past stories. I’d not class it as romance though…there is some romance via secondary characters but that’s just a tiny fraction of the story, and for me sitting it in the romance genre was wrong, and I was disappointed at that part of the story. I struggled at first, maybe if I’d read Vanity Fair I’d have found the start easier. 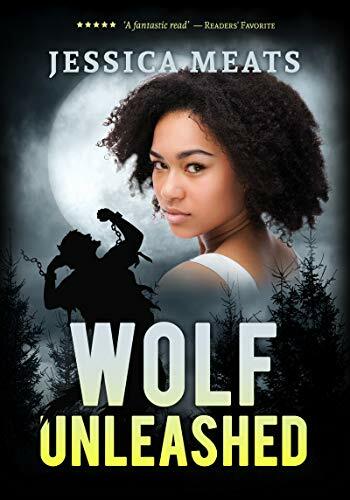 I almost gave up at one point, the characters all seemed irredeemably dislike-able, but persevered and once into the story found myself hooked on Becky’s actions. Was she right in what she did? Was she fair? Was she treated fairly by others? 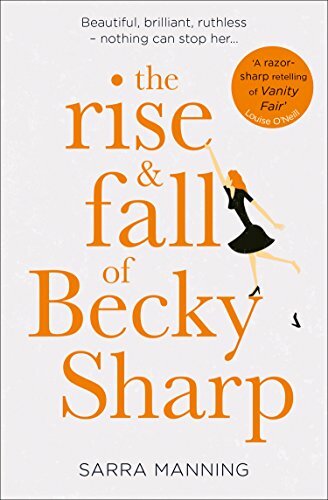 So many questions this book threw up and its easy to judge Becky as amoral and avaricious, but with a past that gave her nothing was she just making her way in the world as best she knew? Would be have felt better about her if she accepted her lot and lived on the street begging? Pretty much sure that’s a No from what gets said in current news. Or maybe if she took a zero hours contract and lived day to day on min wage sharing a room with someone else. Why should she just accept that as the best she can hope for though? Some of the other characters didn’t act any better but their actions – as happens so often in the real world – get excused under work pressures, family issues, social obligations etc. Its only accident of birth that placed George, Amelia, Dobbin etc where they were and not where Becky was in life. Its easy to sit in judgment if you’ve never known homelessness, never gone hungry, never had to shop in jumble sales and charity shops. I have. Would I act like Becky if the chance arose? I’d really, really like to think my moral compass points in a different direction but until it happens who knows what we’d do. Marie Antoinette’s apocryphal “quote” of “Let them eat cake” when told the peasants had no bread sums up so many governing figures attitude to those in need now. They genuinely have no idea of the issues facing so many people, and yet sit in positions making judgments that affect the lives of those people. Stars: Four, a slow start for me, that may have been better had I read VF, an annoyance that its not what I’d call romance, but a story that was a fun read. Porthkennack and Garret Leigh – real treat to read. Like the Bluewater Bay series, also from Riptide, Porthkennack covers books written by different authors about the same place. For me it means even when books are approaching double figures they still retain that freshness first books in a series have, as each author puts their own ideas and spin to the stories. I didn’t connect this book with Wake-Up Call at first, Dev and his story rang a bell when it was mentioned, and I had to flick back and look it up. Its really interesting to see it from the other side, and I understood so much more about bran’s awful reaction to Dev in that book. The plots were as always very intriguing and multi layered. The romance though, well, here it fell short for me. Bran and Sam don’t even meet til a good way into the book, and its as the title says, hate at first sight, and second and third. Slowly though that changes, but I found the slip from dislike to lets get together didn’t really give me the feelings they were invested in more, they could have just been a one night hook up, and then suddenly there’s indications for a future…possibly…maybe…when the stars align, then a big blow-up and its all off. They do get past that and have a possibly HFN but I didn’t ever get that sense of passion, of emotions other than lust, and I needed that for the five. London. I felt for her in book one, she had a tough backstory, and was one of those work through it folk, determined to get there however hard it was. Arlo was a wrench in her plans, and she so annoyed me on books one and two with her back and forth feelings. Poor Arlo must have had whiplash. 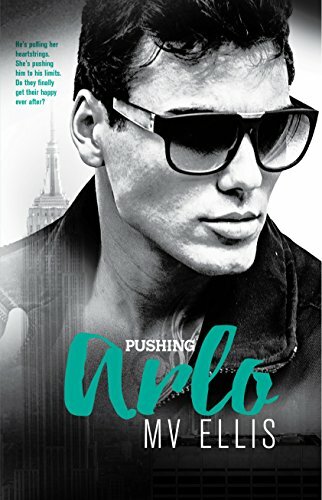 Finally they’re on the cusp of agreement, finally Arlo has broken through London’s tough barriers, and then – the proverbial sh it hits the fan and its back to basics, actually worse than that, Arlo really does have a fight on his hands if he wants London. I got really annoyed at her in this book. She holds Arlo to blame for events that happened before they met, clinging to this idea he’s in control of his fame, she wants him but not the notoriety he brings. 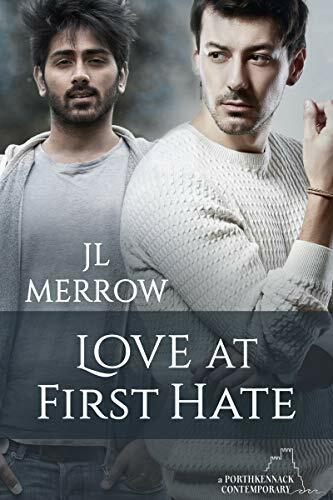 She’s kidding herself though, he’s falling over backwards to do his best, but he can’t change the past, and Fame – well, that’s part of who he is, what makes him the man she loves and I was so angry at her knee jerk reactions. Well, I guess to begin I understood, it was a shock, but she holds onto anger like some kind of puritan. I just kept thinking “hasn’t she ever done things she regrets? Is she really going to throw everything away – or threaten to anyway – yet again” There’s only so many times someone can say sorry, try to make things better and Arlo really was a saint here IMO. London behaves in a really callous way a couple of times here and I so felt for Arlo. Usually I’d be the other way, all for the girl, angry at the heart-breaker rocker, but he’s really trying his best and he just gets rammed back every time. Gah, was I annoyed at the woman. Arlo must feel dealing with her is like walking on eggshells. Stars: Four. I think London’s attitude is one of the things that stopped this being a five star for me. The other is the lack of real band connection, the touring, the mayhem, the groupies, the concerts. All those make a rock star book special and TBH Arlo could be any rich famous guy here, as all those trappings were missing. Overall though its been an exciting trio, and Arlo was just perfect.